We believe that every musician should understand how their instrument works. Knowing this will give you a greater understanding of what your guitar is capable of, how to assess problems, help you make wiser guitar buying decisions, and even how to get your guitar back up if it goes down at a gig. To help you gain this knowledge, we offer a full schedule of classes. From removing your original nut to the final polish on your new one, you’ll learn how to make a bone nut like the pros. 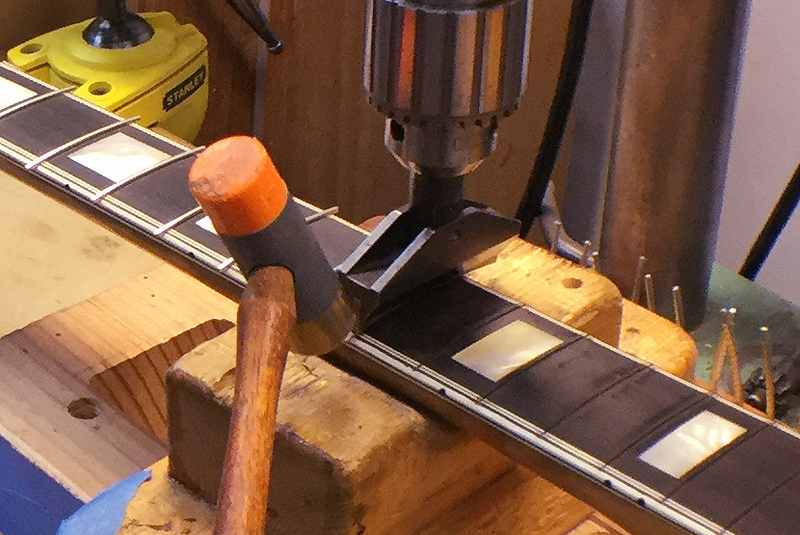 Take this immersive two-day workshop to experience spec’ing and building your own custom guitar. 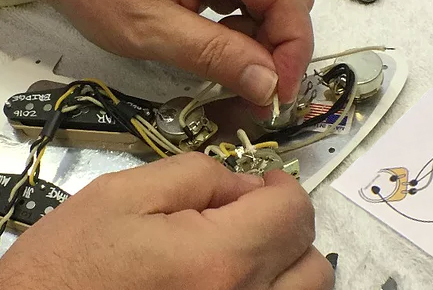 Not only will you learn the skills of soldering, electronics assembly, body and neck assembly, and final setup but you’ll leave with the best playing guitar you own. 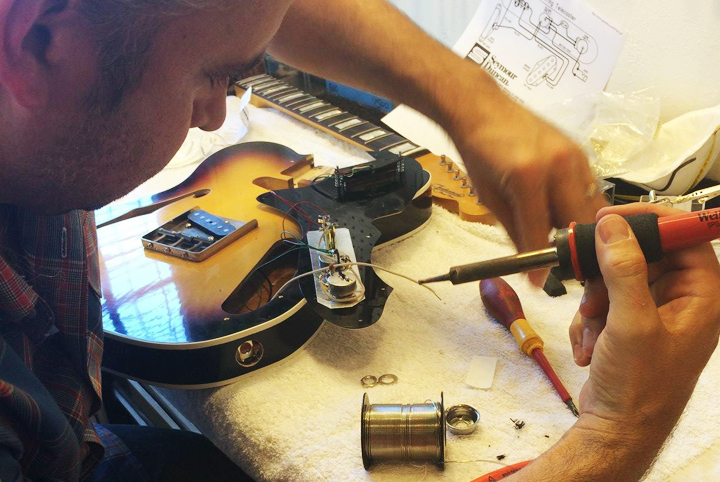 Come with your own guitar and an electronics upgrade project you want to do on it! 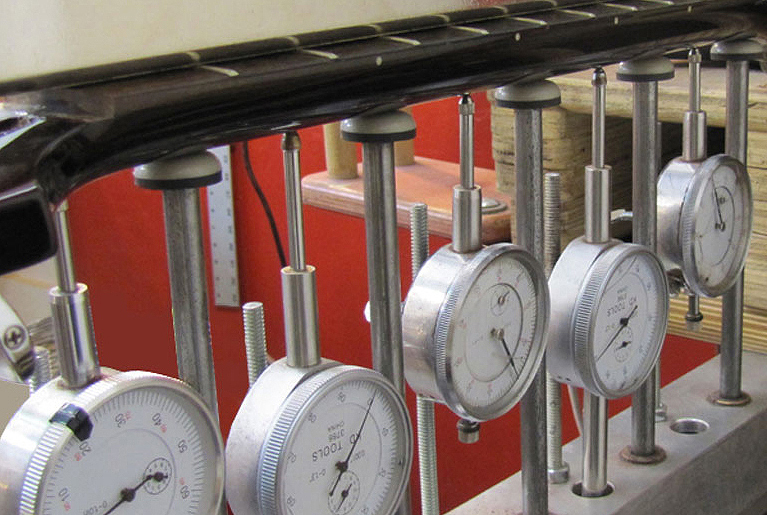 We start by discussing how and why the electronics components in your guitar effect the tone. Then you’ll learn to solder and read a wiring diagram before diving into your project. 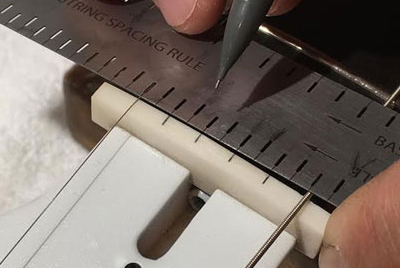 In this 2-day class, learn how to identify issues that arise out of poor quality fretwork and the best methods for achieving accurate and beautiful fretwork like that in the best professional fret level and dress. Then you will be expertly guided through the entire process on your own guitar. 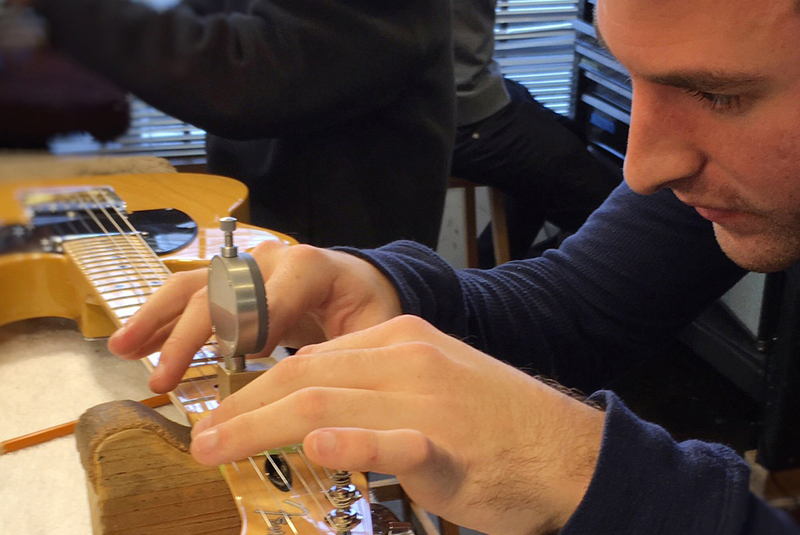 Build a thorough comprehension of the guitar refret in this extensive three-day, hands-on class. You will refret your own guitar, learning all aspects of the process. This class will equip you with a greater understanding of what their guitar is capable of, how to assess problems, and can help you make wiser guitar buying decisions, and not leave you hanging when your guitar goes down at a gig. My husband would like to learn how to refurb/restore guitars and has an old guitar body that he’d like to use as a project guitar. Would the Partscaster Building Workshop be a good fit for that purpose? If not, is there another class you can recommend for beginners to learn something like that? We have a list of teachers in the Bay Area; I’ll e-mail that over to you now! Do you guys do internships or apprenticeships at all? Hello! I’m a fiddler looking for beginning mandolin lessons. Do you know of any teachers? Yes, certainly! Please call the shop directly to purchase a gift certificate over the phone (415) 865-5424. Please note that we do not sell instruments in the shop, we mainly just do repairs. Thanks! I have a brother-in-law in SF and he is way into guitars. Do you have a gift certificate, or something like that, that I could offer him for Christmas? Let me know, thanks!